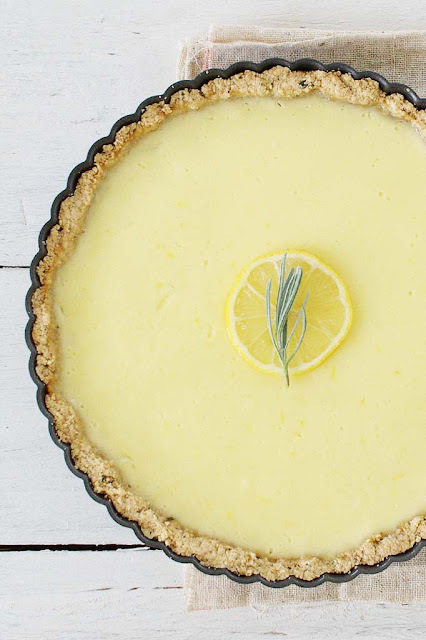 I love twists on classic dessert recipes and came across this unusual one for Lemon Tart with Rosemary Crust via happy yolks. The crust calls for spelt flour and fresh rosemary giving it a subtle earthy flavor. And the filling made from plain Greek yogurt keeps it light making it the perfect summer dessert.